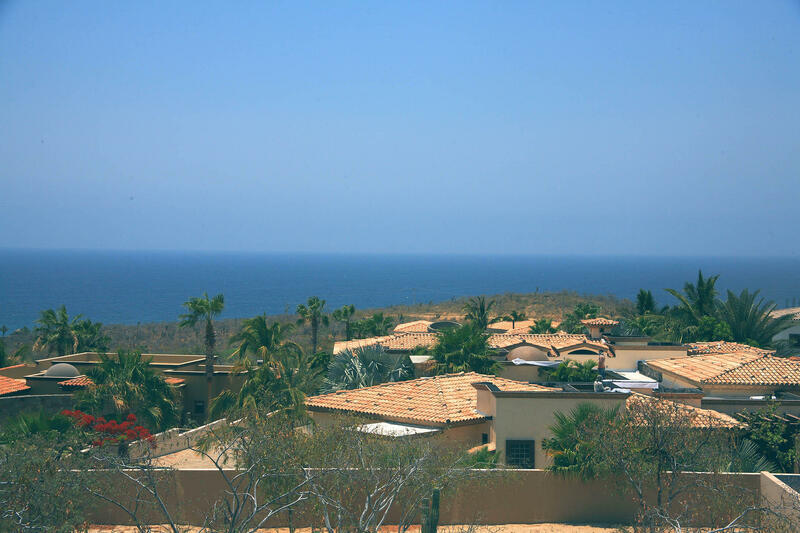 Build a gorgeous single-story home on this exceptional lot in Fundadores. 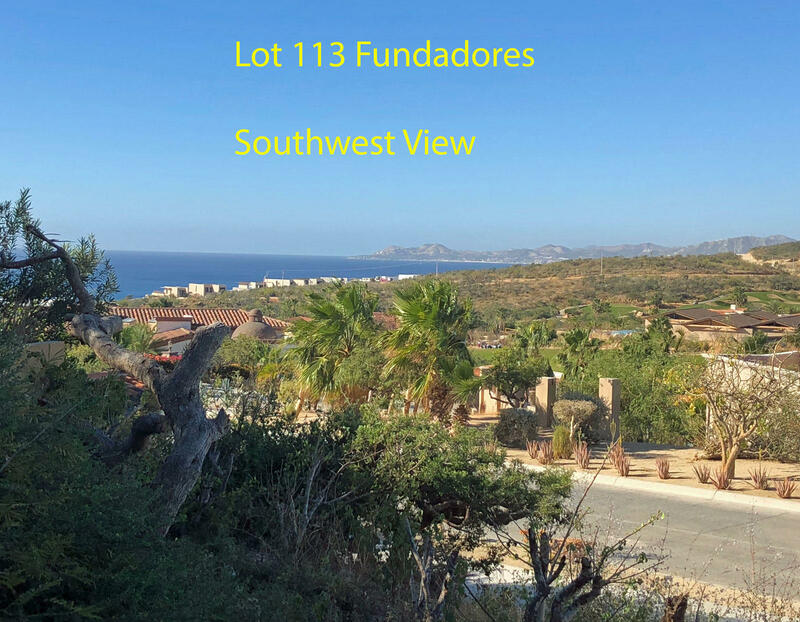 Lot 113 looks towards the sea, Palmilla Point, golf course fairways and the mountains in the distance. Enjoy spectacular views all day and colorful evening sunsets. Great views to Sea of Cortes from this two story build home-site.Flat home-site, easy to build and design home, maximizing views to ocean. 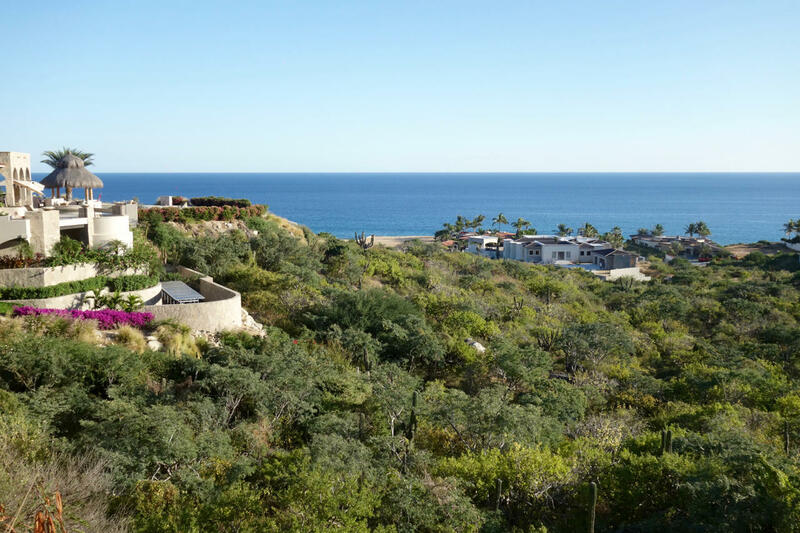 All properties surrounding this lot are built and finished.Enjoy all of Puerto Los Cabos amenities while designing you custom home with panoramic ocean views. This beautiful three bedroom, three bath home offers views, privacy, and gracious living for full or part time occupancy. 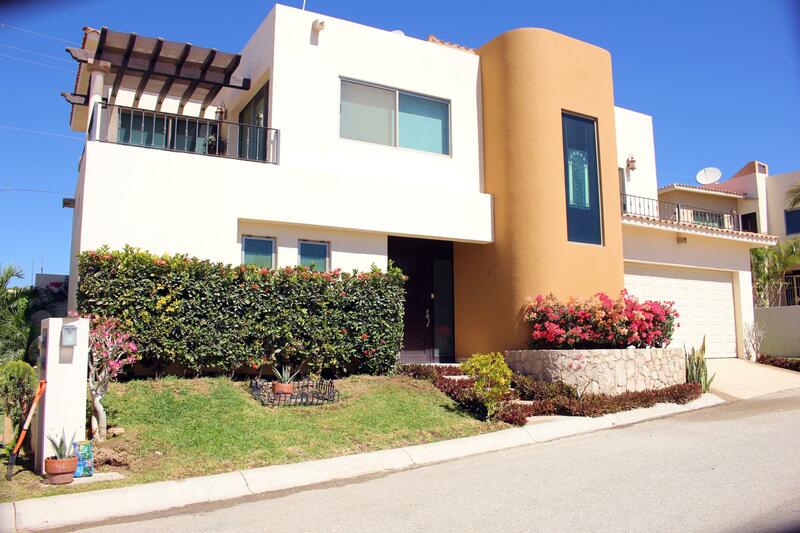 Located in a boutique gated community (only 11 homes) minutes from downtown Cabo San Lucas, the home also features a large private yard and roof-top terrace with 360 degree views of the bay, Land's end, desert and the mountains. 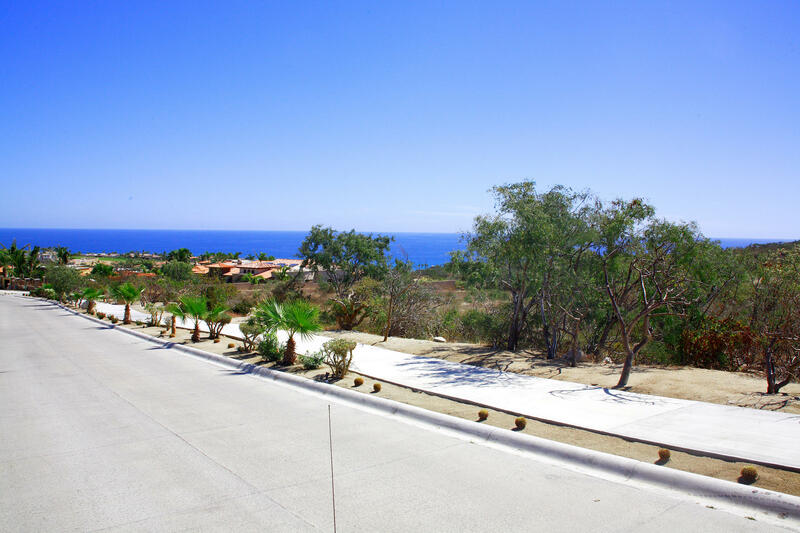 Beautiful unobstructed ocean views down the arroyo from this single story site. 5 minute walk to the newly remodeled private Fundadores beach club. Partial pad in place for home designed here. Plans provided upon request. R E D U C E D! Fundadores View Lot for Less! Enjoy commanding views from this exclusive Fundadores hillside lot, where steps away three miles of pristine sand & ocean await you! 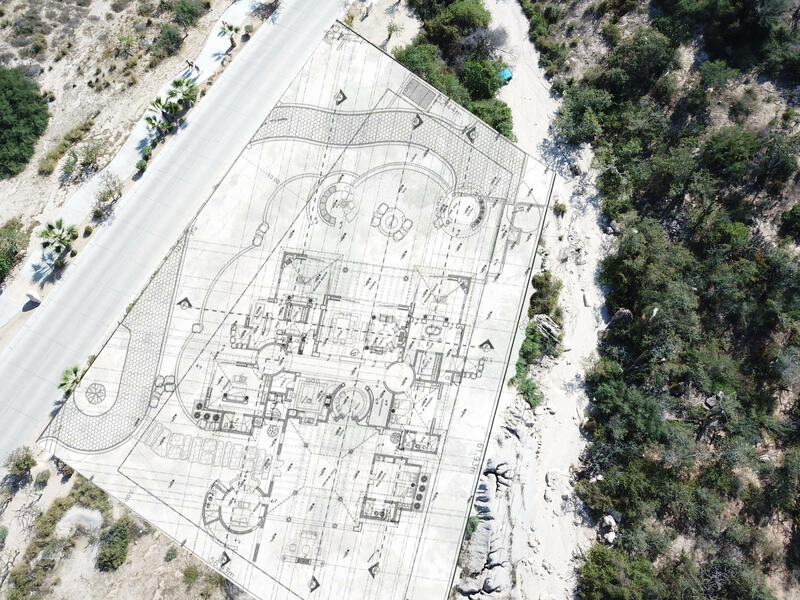 Check out the renderings and build your Dream Home on this Puerto Los Cabos great priced 0.63 acre View Lot. Located in one of the quietest cul-de-sac streets in Fundadores, this easy to build home-site is ideal for those seeking tranquility and privacy. Over half acre and with 18,000 + square feet of building envelope, it is the perfect canvas for an architect to design an ocean view home. 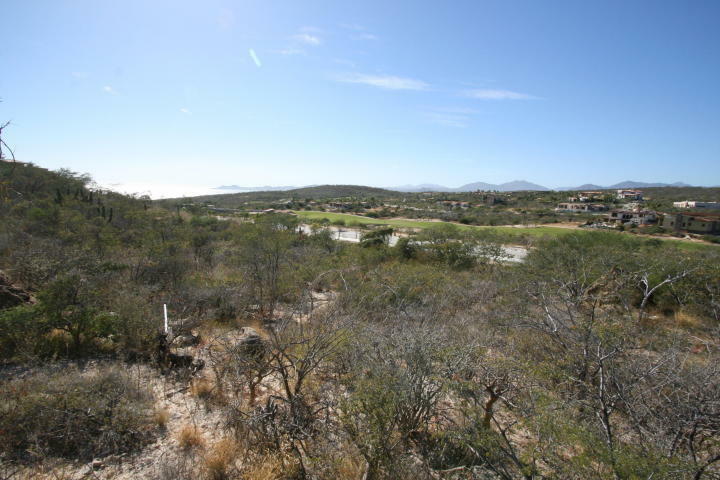 This lot is located in the heart of Fundadores offering spectacular ocean, golf and mountain views. A unique mixture of desert, green fields and blue ocean. This piece of land is favoured by not laying between two lots, making it a more private and isolated homesite, it also allows the construction of a spacious two-level home with panoramic views over the neighbouring lots. 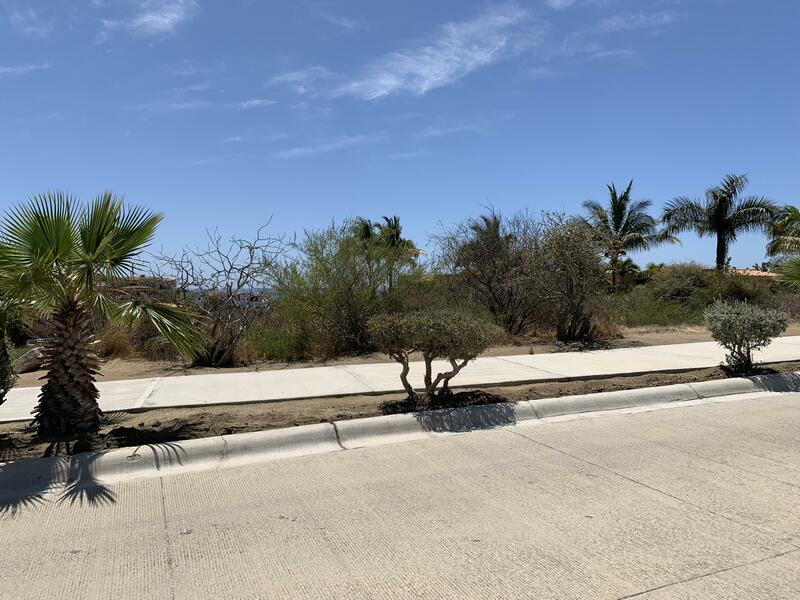 One of the BEST locations in La Noria.- Lot 107 located in the neighborhood of La Noria inside the gated master plan community of Puerto los Cabos, San Jose del Cabo. 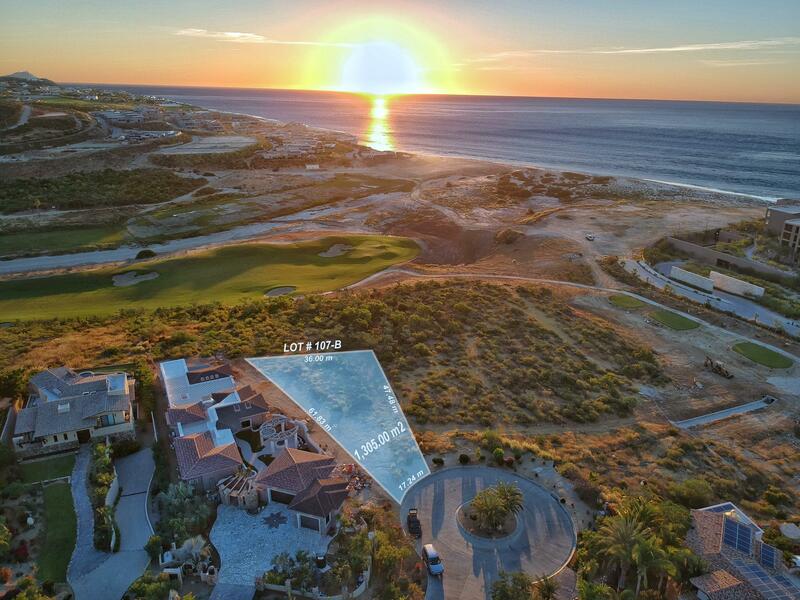 Gated Community, Security 24/7, Beach club, Golf course, Magnificient views of Sea of Cortes, Close to Puerto Los Cabos marina. *Unobstructed views. *Flat -no need of retaining walls. *Project included. 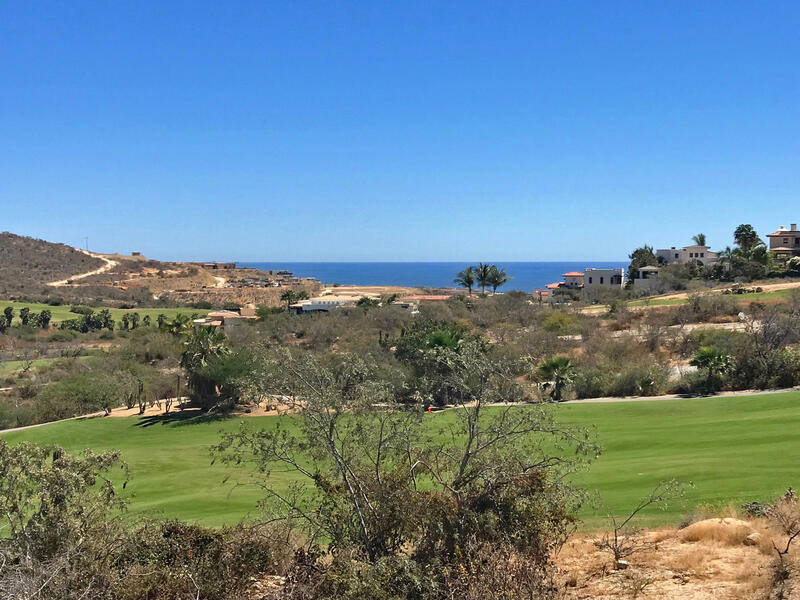 This exceptionally well-priced lot in El Altillo provides spectacular views of the ocean and golf course fairways. The unique nature of the lot presents a variety of building options. Included are architectural plans that capture the spectacular views while minimizing building costs. Main living area is located on the upper floor which is easily accessed by stairway or elevator. One of the last great golf/ocean view lots left in the exclusive Fundadores neighborhood. 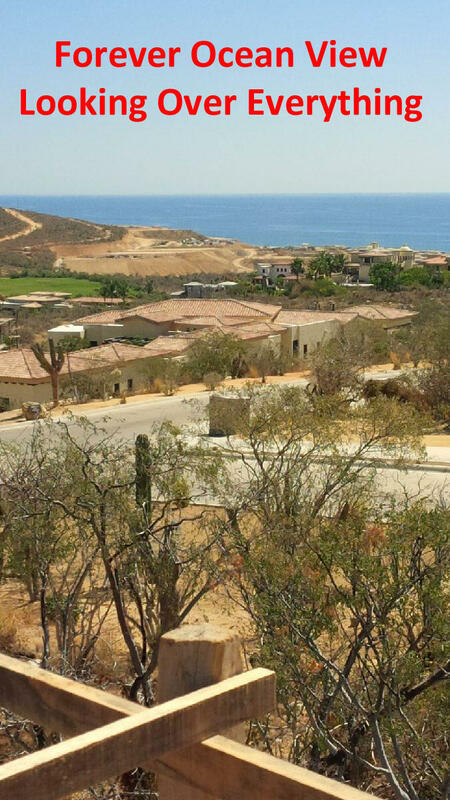 Construct your two level Dream Home within the master planned community of Puerto Los Cabos. Lot overlooks the 4th hole of the Signature Greg Norman members course. Golf and Beach Club memberships available.2.5 meter increase of pad height approved by developer.